Simple. Consistent. Reliable. These are the words drilled into you when you purchase your first piece of Paslode equipment. Providing you care and maintain your new professional fastening tool, the models we stock at Anglia Tool Centre more than live up to those claims. If you don’t take the due care and attention in cleaning your Paslode nailer; as with any piece of professional equipment, the end result is that your project will suffer in terms of both quality and efficiency. The first rule of thumb is to give your model a clean twice a year, or depending on the amount you use it, every 50 000 nails. 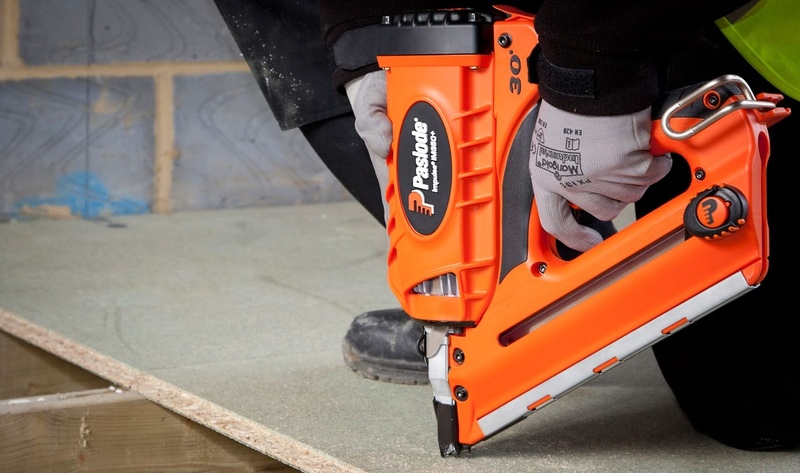 Over the years numerous tradespeople have come back to us after being recommended the Paslode Li-ion battery powered nailers and feedback to us that it’s a fantastic tool to use on site or in the home. At Anglia Tool Centre we are passionate about giving our customers the best deal on power tools, and increasing the lifespan of your equipment sits at the heart of what we stand for. In order to ensure that you clean your Paslode model correctly first time, we would recommend following their handy video guide below. Once you are familiar with how to disassemble and reassemble it will become second nature, but as with all expensive power tools you want to make sure you’re not going to cause it any damage in the cleaning process. .As the Paslode fastening tools are an investment in your business, it’s worth considering the Paslode servicing options. This provides you with peace of mind that it’s been checked and maintained by an expert. With any Paslode Nailer, customers can also benefit from a 1 year manufacturer’s warranty. Although from our experience this is rarely required if the correct care and maintenance is applied. As with the cleaning of any battery powered tool, the first and most important job is to safely remove the battery. This ensures you don’t damage it with any cleaning fluid. Remember to use a clean, lint-free cloth to avoid spreading any more dirt or scratching the inside of your power tool. Apply suitable oil to maintain the lubrication of the head of your Paslode model, and use your cleaning fluid on the filter to remove any build up. The new Paslode nailers have been designed with ease of use in mind. From the very first clean you can simply take apart and reassemble your equipment. Our experts are on hand to provide advise and answer further questions on Paslode maintenance. Call on 01223 498700 or visit us in store. Anglia Tool Centre are one of the UK’s most trusted suppliers of Paslode tools. We have years of experience advising on what tool is right for you. View our full range of Paslode tools and accessories here.